This year we will be concentrating on the approach roads to the town. 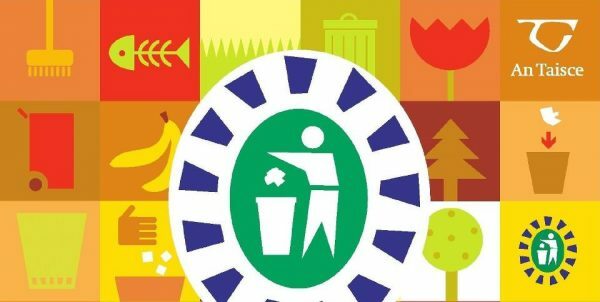 All litter collected will be disposed of responsibly. 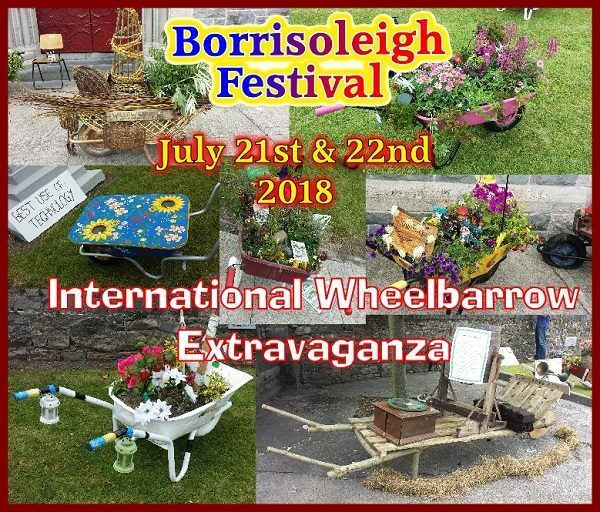 The May meeting of Borrisoleigh Active Social Club takes place in the Community Centre Borrisoleigh on Wed May 2nd at 8pm. 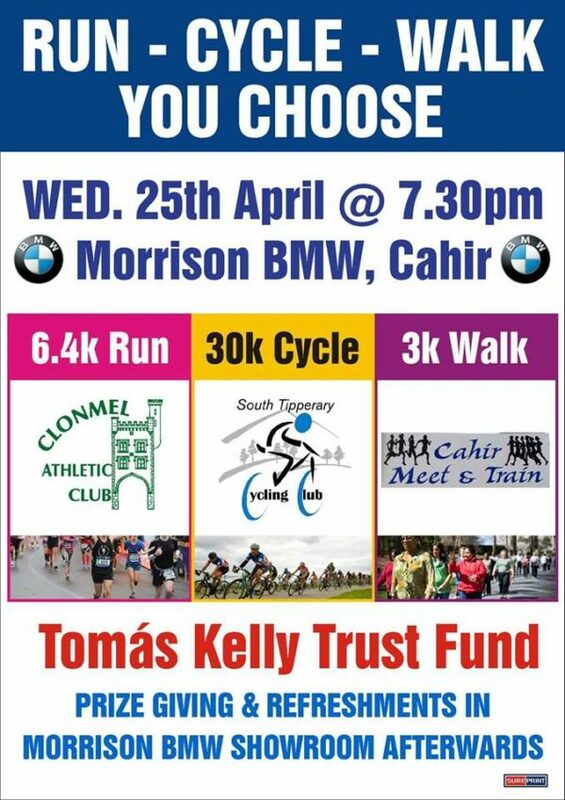 We will have a representative from the Citizens Information Centre Thurles. 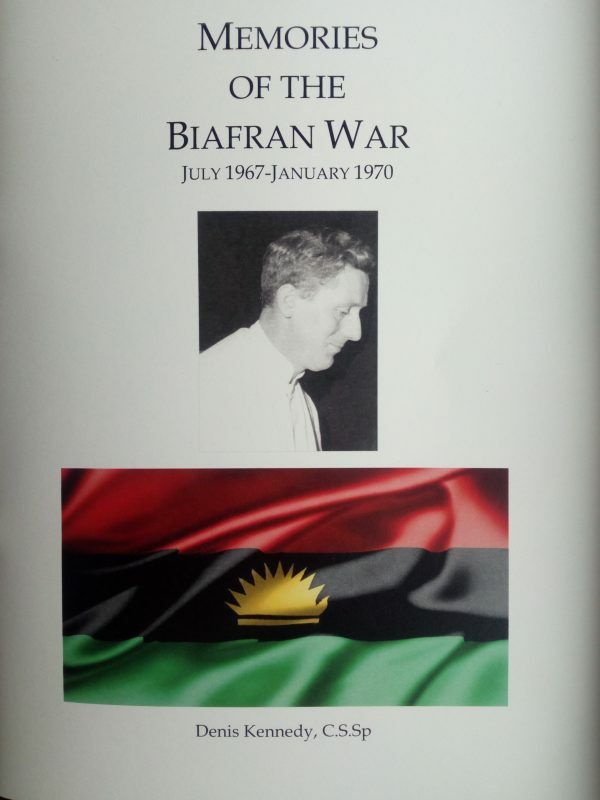 “Memories of the Biafran War, July 1967 – Jan 1970”. 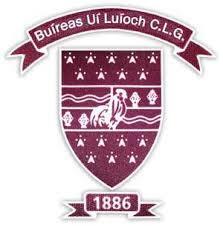 the Mines into a 1 point lead with a well taken score from play followed by a well struck free. Stapleton, Aaron Rabbitte for Vincent Stapleton. two Quarter Finals will see Toomevara face Portroe while Nenagh will meet Burgess. 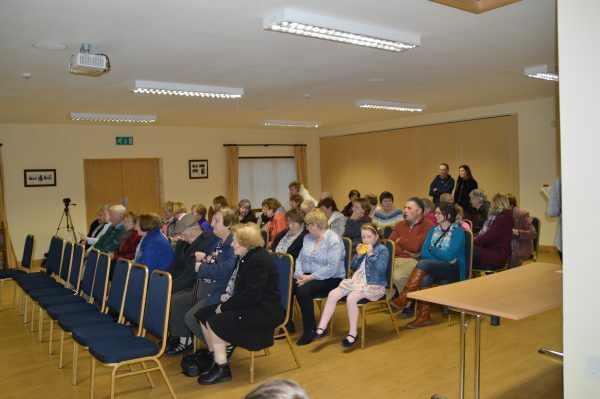 On Saturday last (21st) a group organized under the umbrella of “Ormond Historical Society” and “Tipperary in the Decade of Revolution”, travelled to Loughglynn in Co Roscommon, where in conjunction with the newly formed historical society there, a commemoration was held to the memory or Nenagh man Sean Bergin and Stephen McDermott of nearby Ballinagare. 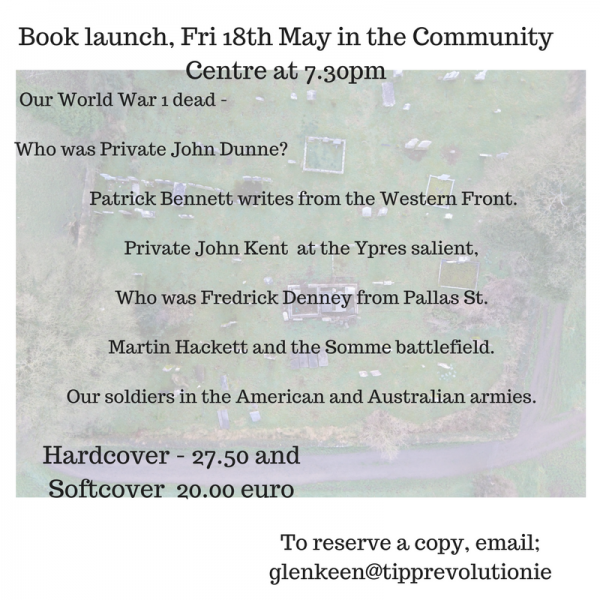 Both men were shot dead by British military after being taken prisoner in Loughglynn wood on 19th April 1921. It was a great occasion and the local organising committee spared nothing in making us welcome. 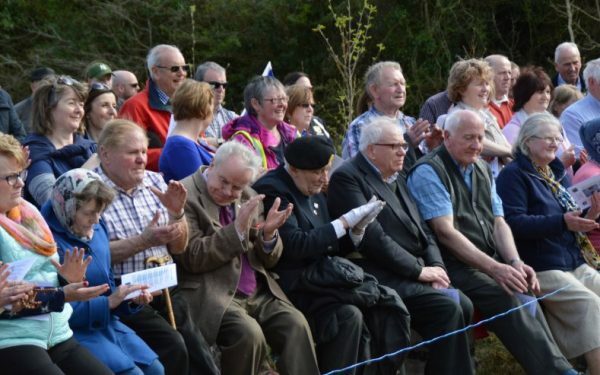 We were met in the village of Ballinlough by two gentleman from that area who gave us a brief history of the place and events that occurred there during the troubled times. At Val’s restaurant in Ballyhaunis, we were welcomed by a printed menu specially designed with the Tipperary colours. 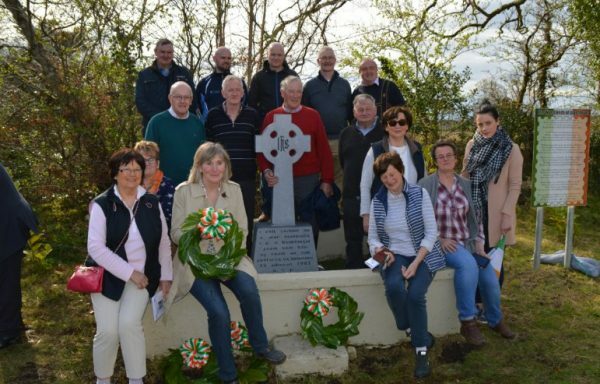 They insisted on us stopping at the monument to football legend Dermot Early and reminding us of the Tipperary connection, the late Lt General’s wife, Mary Egan, being a native of the Premier County. 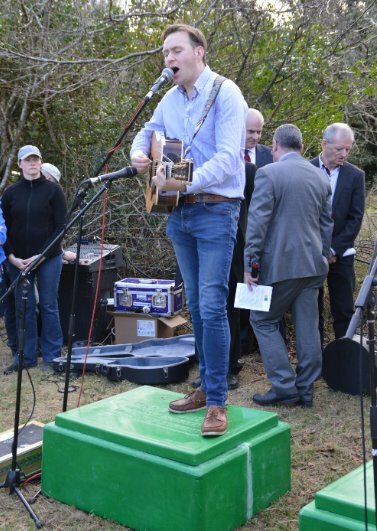 After the conclusion of the commemoration, tea, food and refreshments were served in the local community centre, followed by an evening of song and music. 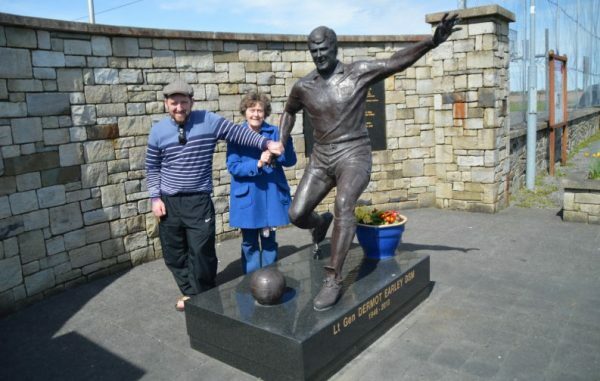 Eileen and Jamie Kennedy at the monument to footballer Dermot Early. 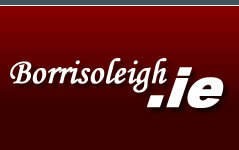 score of Borris-Ileigh 4-08 to Moycarkey 1-03. Well done girls. 1-02 & Kelly Healy 0-01. Well done girls. U8 and U6 training is back and new recruits are always welcome. 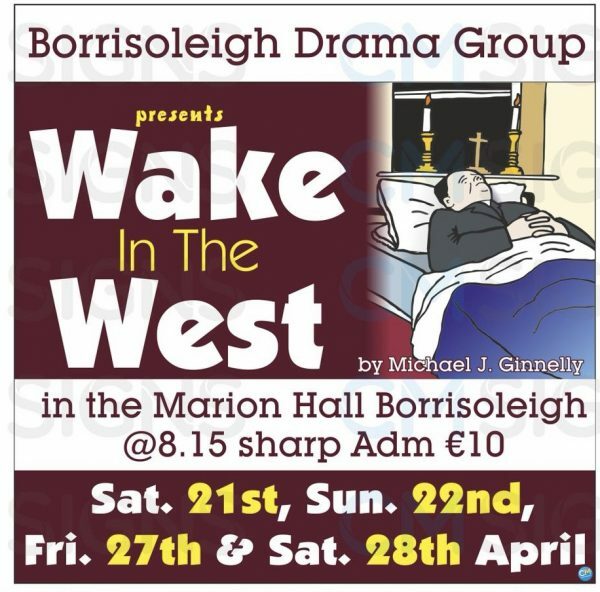 Upcoming U8 blitz’s, May 12th , June 9th , July 14th , August 11th & September 8th. .
Borrisoleigh Drama Group, as always, gave a tremendous performance of the play Wake in The West by Michael J Ginnelly at the weekend. 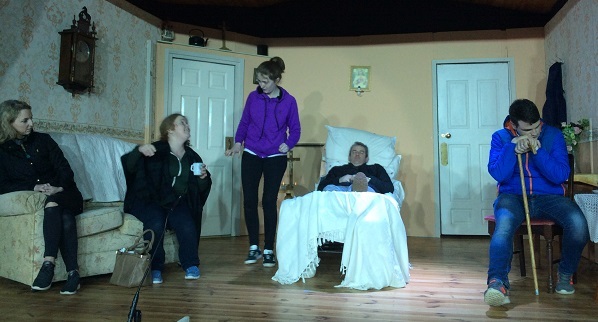 The traditional setting of a rural wake provides the backdrop for this hilarious comedy. Anyone who missed the first two performances has the opportunity to catch this side splitting comedy on Friday 27th and Saturday 28th April in the Marion Hall, Borrisoleigh at 8.15pm sharp. Admission is €10 and the Drama Group will be making a donation from the proceedings to 3 different worthy causes; The Le Chéile ASD Unit, Scoil Naomh Cualan, Borris-Ileigh Juvenile GAA Club and the Tomás Kelly Trust Fund. 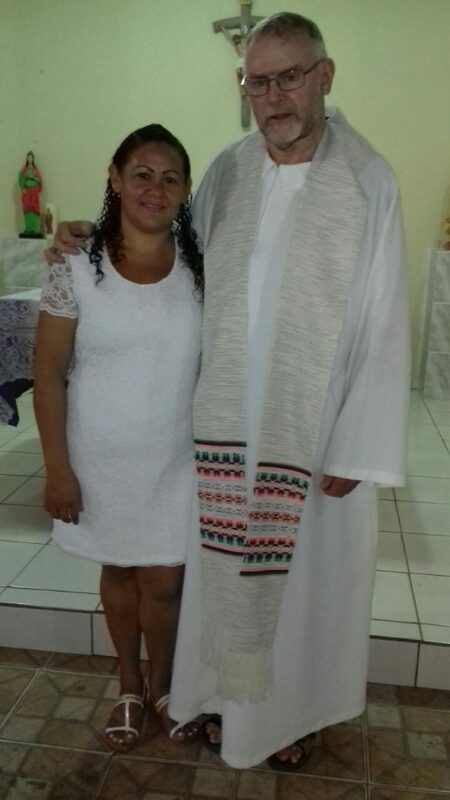 Just to let you know that Holy Week is a time when people like to give food hampers to the less well off families here in Brasil. The idea is that those who are better off make sacrifices in their eating habits during Holy Week and the food that they refrain from eating is passed onto those who are most in need. Some of the bigger shops and well off people, pass those hampers onto us here in Parque Brasil because they know that this area where i live is one of the of the poorer areas in the city of Teresina. I together with a few local people divide out what’s given so that most of the more needy families can get something. This year we were able to give more and better food baskets because I bought a lot of food stuff with the Walks and Tractor Run money. Each food basket would have been worth about 25 euros which would keep a normal poor family of 4 or 5 people going with the basic food stuffs for at least 15 to 20 days. The best of all was that I was able to do that without the poor noticing where it was coming from. You’d have queues at your door very quickly here if they thought the padre was giving food handouts !!! We had a great rainy season here this year. Its bee raining almost every week since I came back here in the beginning of January. That’s great for us all and especially for the farmers . 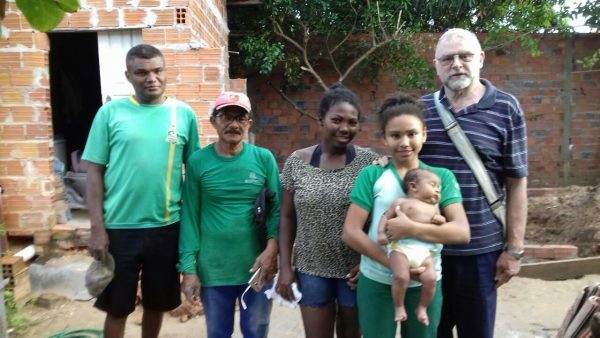 However a lot of houses were seriously damaged with the heavy rains. For the last few weeks we have been helping families to mend their houses. In a few cases we had to knock down the little mud hut and build a better little house for them with bricks. 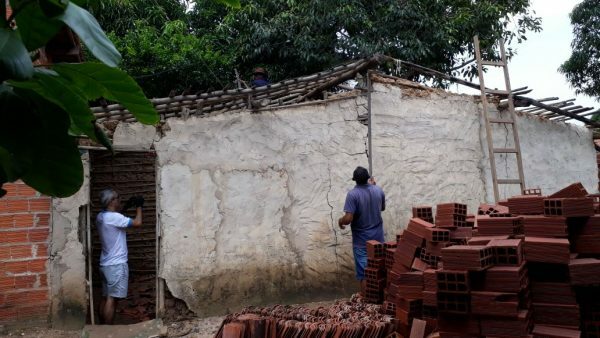 I go after the local authorities looking for building materials and I also ask the brick layers and helpers to work on a voluntary basis on Saturday and Sunday morning. I get a group of women to make a good dinner for the workers and I give them a bottle or two of “something” and that keeps them going until the early afternoon. Sometimes I pay one or two fellas to work for a few days during the week when the needs are more urgent. 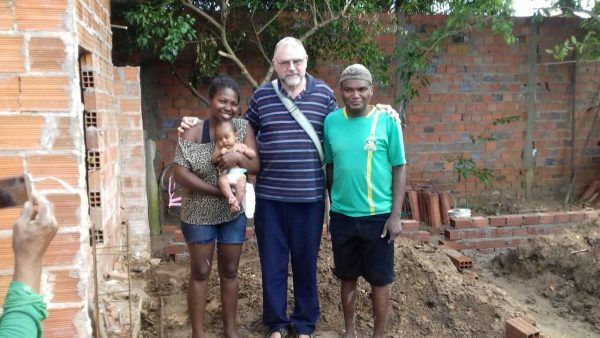 At the moment we’re building a two room house for Erisvania. 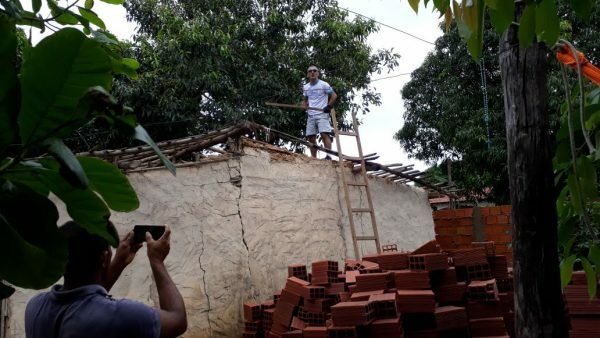 Her house was so badly hit by the rains that we had to take it down. It was a mud walled house but with slates on it. Erisvania has a daughter called Geicy of about 10 to 12 years old and a little baby Alice a few months old. We have been trying to get the building material from the local authorities but that takes so long and its so complicated at times. 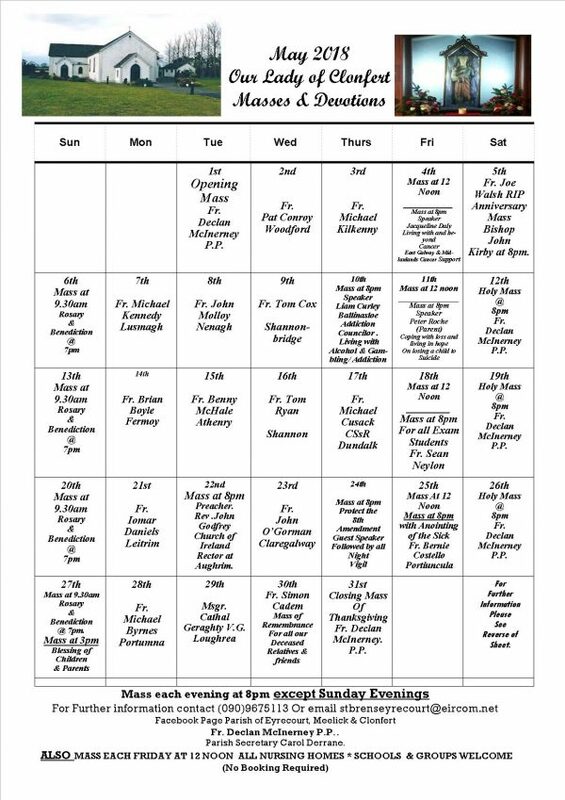 Local people help outt with materials also but It’s great to have the Templederry Walks and the Borrisoleigh Tractor Run money behind me to be able to buy a few bags of cimento or iron or a door or window or a few hundred bricks when the need arises. 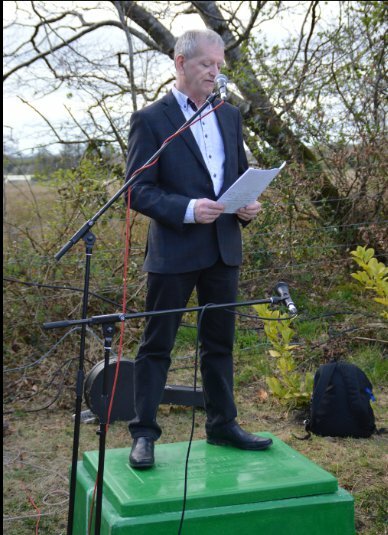 The money raised at the end of last year in Ireland has given me great liberty to do good for others in the name of all of you ! It’s great to be here and thanks once again to all of you for your kind support ! 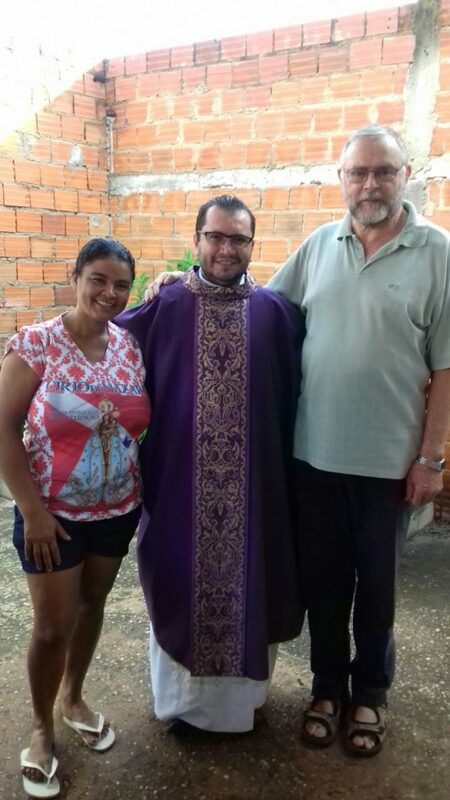 The other photo is of my Redemptorist colleague, Father Valdo, who was ordained last year and who lives here in Parque Brasil with me. The lady in the photo with us is Cleiriane and she works with us. Luke Kavanagh, Philly Ryan, Mary Kennedy, Lizzie Patterson, Joe Laffan, Bill Prior and Mrs. Ellen Quinn. 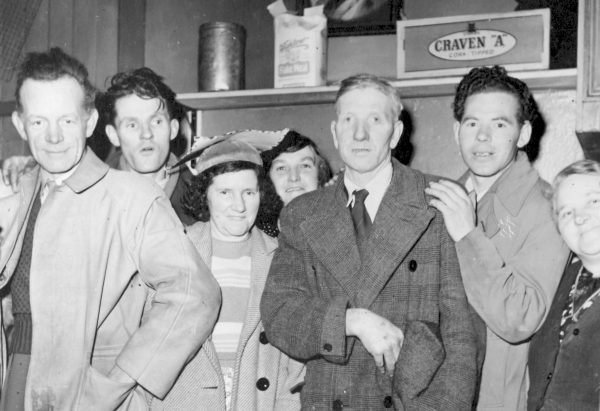 Photograph taken in Kennedy’s Shop which was located beside the Marian Hall.